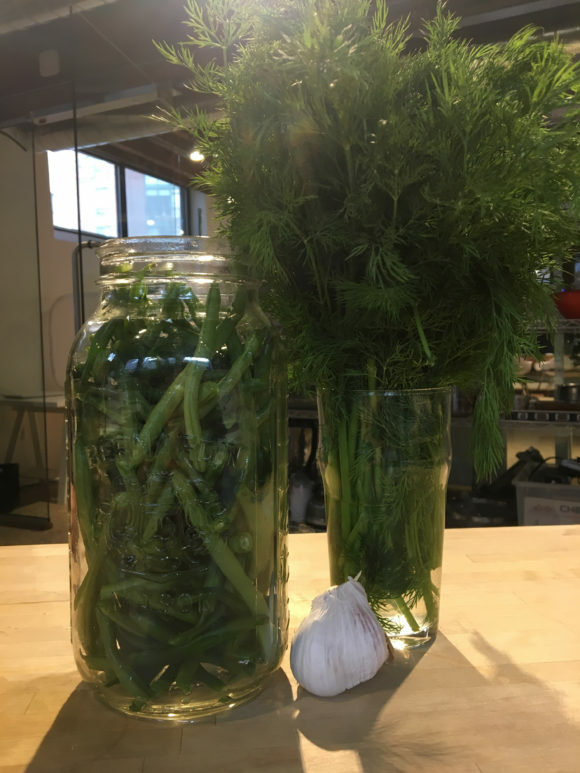 For our latest round of kitchen experiments, two members of the Nourish team decided to try and get themselves into a pickle. 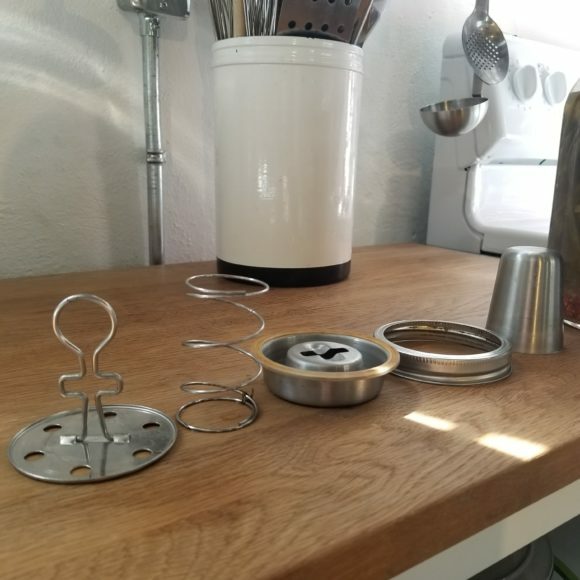 The Kraut Source is a 5-piece stainless steel contraption for lacto-fermentation that attaches to the top of any wide-mouth mason jar. Read on to learn about their results! 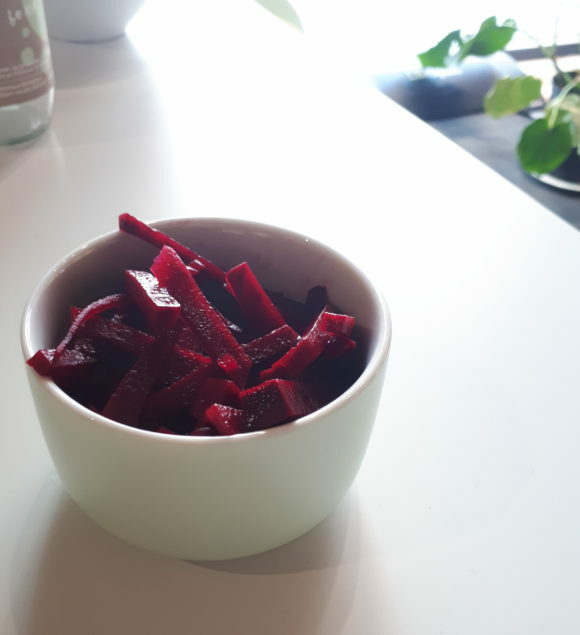 Beets are a natural way to temporarily increase your VO2 max*, so I was keen to make some that could sit in my fridge for a while safely to be snacked on before competition. Here’s some info on beetroot juice and its effect on VO2 max. *According to the website verywellfit.com, VO2 max is, “the measurement of the maximum amount of oxygen that an individual can utilize during intense, or maximal exercise.” Now you know, too. Well, I left out the raisins because… eww. Otherwise it was fairly simple. 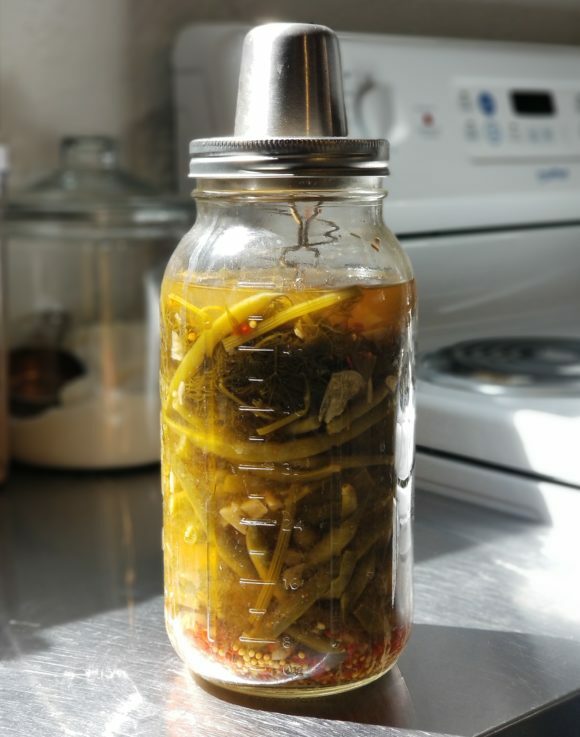 I did really wish the recipe gave a bit more insight to the fermentation process, and if there were any clues about it being ready to eat or even not edible at all. It left me feeling wary about eating it. Would you recommend the Kraut Source? 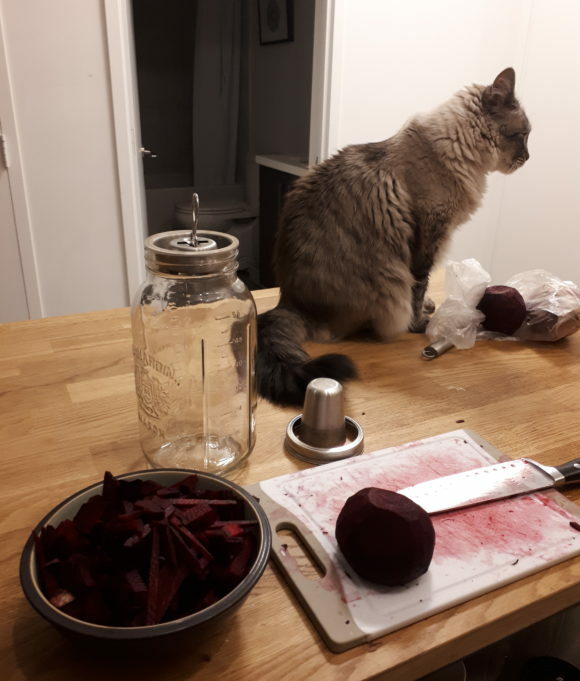 No cats were harmed during the making of these pickled beets. The end result was tasty, but I didn’t eat all of it. Was too wary given the lack of info about how to tell if it was safe. First off when I think of my favourite thing that’s pickled, I think of spicy green beans and the iconic Canadian Caesar. From the salty drink to the crunchy bean or pickle… if you ask me what more could you ask for on a Sunday? Well… my experience was interesting. I made a mistake the first time I tried. I did not add enough water to the Kraut Source so that made my beans turn moldy. So then I bought more beans and tried round 2. This time I did a little more research to make sure that my beans would come out perfect – and they did!! They were a complete success the second time; salty, crunchy, and just enough spice. Yes; it was was a lot of fun trying something new and exciting. The best part was when the experiment became a success and the whole office enjoyed it. I would definitely try making these again!